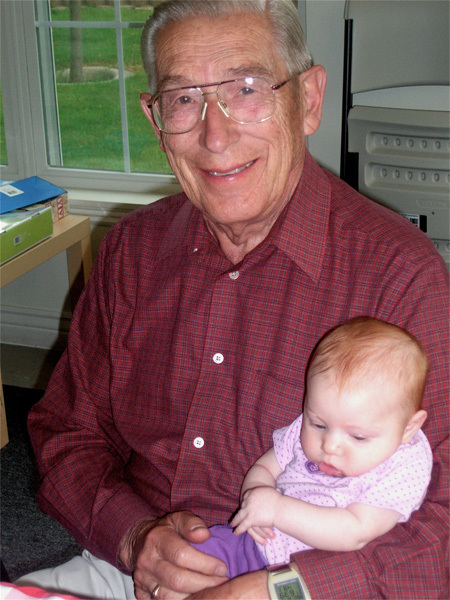 Grandpa with 2 month old Jellybean. Our family received the unexpected news this weekend that my husband's grandfather had passed away. Having lost my grandparents before I was married, I have felt so lucky to have another grandfather in my life. I feel blessed to have known him, even for the short while that I did and grateful that my children got to spend so much time with him at family dinners on Sunday evenings. 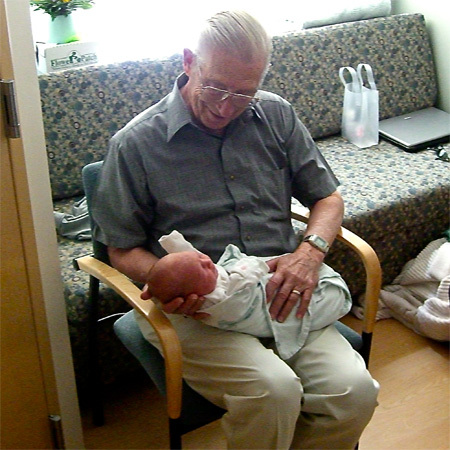 Grandpa meeting Buddy for the first time. He was sweet, gentle and sometimes irreverent. My children loved being teased by their Papa Dent, especially Jellybean. I will miss his twinkling smile, dry humor and the way he'd gently squeeze my arm when we'd get ready to go after family gatherings. 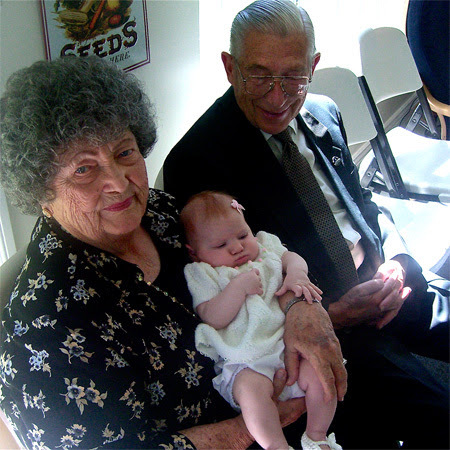 Grandma and Grandpa Dent with Jellybean on her blessing day. To see how he looked at my children, it was obvious how much he loved them. We will miss him greatly and our prayers of comfort go out to his wife and daughters at this time of loss.